Qom province with an area of ​​11526 square kilometers is ranked as the 30th province of Iran in terms of area and is surrounded by the provinces of Tehran, Isfahan, Markazi, Semnan and the Salt Lake. The center of the province is a city with the same name. It is the only province which has just one city i.e. Qom. Various ethnic groups reside in the province including Persians, Turks and Arabs. The people of the province speak in languages ​​such as Farsi with Qom dialect, Azerbaijani Turkish and Arabic in Iraqi dialect. The northern slopes of the Zagros Mountains cover the southern part of the province. Mount Palang Abi is the highest point in Qom province. Because of the diversity of altitude in the province, the temperature varies in different areas. The oldest historical discovered works in Qom province belong to the sixth to fourth millennium and are related to Qarah Tappeh in Qom Roud area. According to the available documents, since the very past it was a residential and its name can be several time during and after the empire of the Achaemenid. After the Islam, due to the presence of the holy shrine of Fatima Masumeh, the importance of the city was intensified. 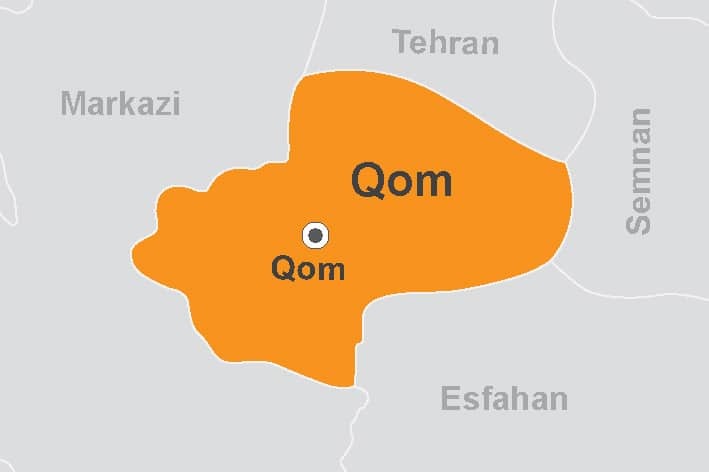 Historic incidents of the province are mostly seen in the surrounding areas including Ray and Kashan and not the city of Qom itself. After the Mongol invasion, a feudal system was run in most parts of Iran and after that Tamburlaine and Safavid government appeared. With the formation of the Shiite Safavid government, the land of Qom found a special position. The construction of many monuments in and around Qom is a relic of that time. During the Constitutional Revolution, a large group of scholars and clerics in Tehran migrated to Qom in a protest against the Muzafar al-Din Shah’s hesitation in signing the Constitutional Law and returned to Tehran only after the decree was signed. 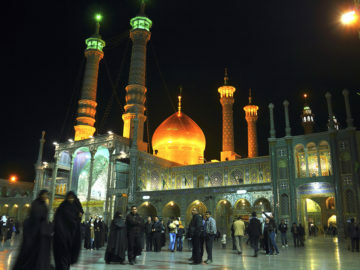 The Holy Shrine of Fatima Masumeh is the second most important religious shrine in Iran which is considered as an important pilgrimage attraction along with the largest seminary. Other religious places, tombs, shrines, caravanserais and mosques, especially Jamkaran Mosque have made the city itself and its attraction mainly religious. Among the most important handicrafts of Qom province, we can mention Silk Carpets, Wood Carving, Tiles and Ceramics, Mohr and Misbaha, Prayer mat and Aba, stone industry including precious stones and artwork on them, stone carving and stone bead making. Undoubtedly, one of the most famous souvenirs in Qom is its Sohan (kind of sweet). We can also name walnuts, dried apricots, hazelnuts, pomegranates and figs as souvenirs of this city. Some of the native foods of this province are Kalle Joosh (special type of soup), Meat Stew (Qunabid), Aush (stew like dish with different beans), Halim, Traditional Bread, Sesame Extract, Sesame Halva.